Remember Nancy Pelosi’s “commonsense plan” to lower gas prices, back when gas prices were half what they are since she and her fellow Democrats assumed power in Congress? Leadership: With oil hitting $147, Nancy Pelosi finally admits energy is a problem. But instead of drilling for it, she’s cooked up a new drain-the-reserves scheme. It’s pure politics at a time of crisis. She ought to resign. Any leader with an energy record as derelict as Speaker Pelosi’s ought to step down. Where she once was just incompetent and irresponsible, she has now — with her latest scheme to fix oil prices — become dangerous. Despite polls showing Americans in favor of drilling more oil from America’s huge untapped supplies, Pelosi won’t allow it. She just wants to empty our Strategic Petroleum Reserve for a short-term fix to get through Election Day. It’s an irresponsible suggestion, signaling not only an ignorance of how the economy works but also a willingness to place the nation at risk in the case of emergency. Last Tuesday, Pelosi sent a letter to President Bush urging him to release a “small portion” of the nation’s 706 million barrels of strategic-reserve oil to bring down prices. Regardless of how one feels about whether reserves should be held at all, two big problems stand out with Pelosi’s tiny demand. One, she’s proposing a misappropriation of the reserves. The U.S. oil stockpile is a 58-day cushion for emergencies that today are all possible. If Israel attacks Iran, for example, and prices double again. Or if Hugo Chavez cuts off his supplies, as he threatened to do as recently as Sunday. The reserve is there to cushion the blow of a market disruption; it’s not an open-market mechanism to manipulate prices for political ends. Two, Pelosi has finally admitted that supply matters, something that contrasts with her entire legislative record. We count 14 energy actions to suppress supply on her Web site just since 2005. She has blocked efforts to open Alaska to drilling, denounced fossil fuels, blamed oil companies for high gasoline prices, voted for biotech boondoggles and condemned speculators. “Our coasts need lasting protection from oil and gas drilling,” she declared Dec. 6, 2006, after Democrats won control of Congress. Missing are any moves against petrotyrant regimes who drive prices skyward, or even lip service to the idea of ensuring supply through drilling. Pelosi downplays her proposal as modest because it’s a “small” portion of the reserves to spend. And look what happened in 2000, she says, when an SPR release authorized by President Clinton lowered gasoline prices nearly 20%. But she’s not fooling anyone. Then, like now, an election was coming up. With Congress’ public approval at a subterranean 9% and falling, the speaker must be starting to realize that November may not be the Democratic cakewalk that pundits predict. President Bush, however, isn’t about to be suckered into releasing the reserves just long enough for pump prices to fall by Election Day, thereby saving Democrats’ skins so they can carry on their drill-nothingism for an additional two years. The president needs to do two things with Pelosi’s proposal: First, tell her “no,” unless she comes up with a plan to open up more drilling. Second, expose it for what it is — a bid to paint Bush as the problem to distract from her own sorry record. In playing politics with the Strategic Petroleum Reserve, the speaker has moved beyond the incompetence and irresponsibility that have characterized her leadership to date. It borders on reckless, something we cannot tolerate in such dangerous times. Ohmigosh! The leaders of both the Democrat-controlled House and Senate are completely irresponsible – and completely useless – on energy, at a time when energy is becoming a genuine crisis! Can we make it a trifecta? Do we have – dare I say it – THREE stooges? Yep. Three for three. We have the Three Stooges of energy. And I personally think Nancy Pelosi is the “Moe” of the bunch (I’ll leave it to others to decide which one is “Curly”). What do we make of the Democrats’ proposals? How has House Speaker Nancy Pelosi’s “commonsense plan” performed since gas prices were a little over $2 a gallon when she took over? Well, that’s clearly a rhetorical question; Pelosi, Reid, and their Democrat Congress haven’t done a single positive thing. What do we make of Democrats’ excuses for refusing to allow drilling? Stop and thing about their answers: 1) there’s no point in drilling because it won’t produce a drop of oil for seven years; 2) we can’t drill our way out of the problem; 3) drilling simply represents the failed policy of the past; 4) we should open the strategic petroleum reserve to lower energy prices; 5) off-shore drilling will contaminate our environment and harm our tourism industries; 6) if we expand drilling we will contribute to global warming; 7) the oil companies have 68 million acres they can drill on; 8) the high price of gas is due to “price gouging” by big oil; 9) the high price of gas is due to speculators manipulating the market. 1) If there’s no point in drilling because it won’t immediately produce any oil, then by the same twisted idiot’s logic, there’s no point in investing in “alternative energy” – most of which is purely theoretical and which certainly won’t be producing real energy in seven years. This asanine point is simply breathtaking in its sheer brazen shortsightedness; better to have it in seven years than not have it at all! Particularly when, had Democrats allowed us to have this oil seven years ago, we wouldn’t be where we are now. Democrats have been saying for 25 years that drilling won’t produce an immediate solution to our energy needs. 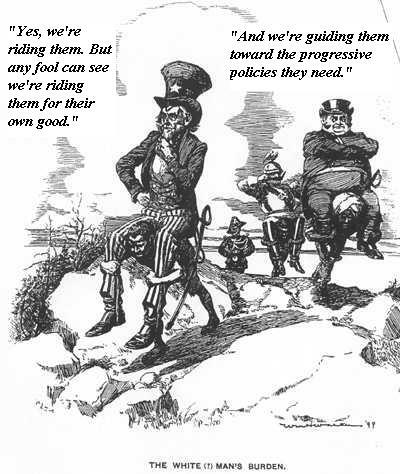 Their current rhetoric merely reveals just how terribly wrong they were seven years ago! At some point we must hold them accountable for their criminal stupidity. 2) We may not be able to completely drill our way out of the problem (although many in the petroleum industry point to their studies and argue, ‘Yes we actually can!’). But there is absolutely no question that we can substantially increase our oil supplies – and have a massive impact on our energy problem – precisely by drilling. Explain to me how hundreds of billions of barrels of domestic oil – immune from the whims of OPEC, and immune from the instability of the Middle East and Northern Africa – wouldn’t help us solve our problem? 3) If drilling – in Barack Obama’s words – would “merely prolong the failed energy policies we have seen” – than should we stop drilling? For one thing, for most of that time, the point is we haven’t drilled; drilling has been banned. So the actual “failed policy” would really be NOT drilling, wouldn’t it? What is Obama’s and the Democrat’s meaningful alternative to drilling? When oil constitutes over 85% of our energy, just what do they propose to do to make up for that massive chunk of our requirement? The simple fact of the matter is that there is nothing out there that can begin to fill the void of oil – and by virtually all accounts we will continue to need oil for several decades to come. It’s almost like saying that “eating would merely prolong the failed dietary policies of the past.” Even under the valid assumption that we’ve had a poor diet plan in the past, does that mean we should starve ourselves to death? 4) Opening our strategic reserve to reduce oil prices would lower gas prices. This is undoubtedly true, but what happens if we have a crisis? What happens if Israel – acting in its legitimate self interests – takes out some of Iran’s nuclear capability? That strategic reserve is there for emergencies, and we face some very real potential global crises today. What would we do if Iran shut down the Strait of Hormuz and we didn’t have any oil on reserve? what would we do if we had another Hurricane Katrina that damaged oil refineries? But another problem with this line of argument is that it exposes the gaping hole of stupidity of the Democrat’s arguments against drilling. They’re claiming on the one hand that the millions of barrels of oil a day that domestic drilling would produce wouldn’t solve our problems, while simultaneously claiming that a much smaller contribution to the oil supply would be beneficial. Which is it? The best way to increase our national oil supply is to move toward a solution that would actually increase our oil supply. That means drilling. 5) Will off-shore drilling harm our tourism industries? Well, a big problem with that hypothesis is that tourism isn’t going to do very well as long as fuel is so expensive that nobody can afford to go anywhere. So there’s a clear counterproductive notion to protecting our pristine beaches (particularly given that the oil rigs would be located miles out to see beyond the horizon anyway). Let’s all agree that ANWR is not a tourist hot spot. Will drilling create massive footprints in pristine wilderness and offshore areas? Not nearly as much as the Democrats disingenuously claim it will. And the question is, would even a large footprint in some way-far-away place like ANWR really be worth destroying our national economy over? Let’s put it to a vote: should we abandon the American way of life, or drill? Right now, 70-75% of the American people are screaming, “Drill!” And as the crisis mounts, that percentage is going to get higher. 6) Will drilling increase global warming? Please, PLEASE realize that the best measurable (as opposed to abstract computer models!) scientific evidence is that we have been having warming and cooling cycles for millennial, and that we are currently in a cooling cycle. Furthermore, we have evidence of a tropical heat vent in our climate system – not considered in computer models – which provides a “natural thermostat” that all by itself renders much of the alarm over global warming moot. Are we really prepared to dramatically reduce our lifestyle in order to fight a cyclical climate phenomena that we can do nothing to stop anyway, and which will not even be all that bad given the documented human history through previous warmings? And if all that isn’t enough, then tell me how refusing to drill for our own oil, while at the same time begging OPEC countries to drill more of theirs, helps prevent global warming. If we drilled for our oil, we would actually be using techniques that are much more environment-friendly. 7) The oil companies have 68 million acres to drill on, so they don’t need any more. I can’t help but wonder: are Democrats really this stupid, or do they have an ulterior agenda for wanting to prevent America from accessing its vast domestic oil reserves? When it comes to drilling, one acre is most definitely NOT as good as another. You don’t just drill a hole in the ground, and oil comes out. Oil companies lease all the land they can, and then they begin the lengthy phase of doing geological studies and drilling test wells. Most of the ground comes up empty. Other ground has oil, but not in enough quantities to produce profitably. The areas that most definitely DO produce are off-limits because of Democrat’s actions. The off-shore areas – overwhelmingly off-limits to drilling because of Democrats in Congress – are KNOWN to be the most productive of all. And even those leased areas that WOULD actually produce oil all-too frequently tend to become off-limits to oil companies because of the actions of liberal groups such as environmentalists. To cite merely one case among many, the sage grouse is definitely more important to liberals than the fact that your family will suffer over high oil prices. This is an area that most definitely produces oil, and which is located in such a way that it will prevent drilling throughout the region. As one other fact that Democrats and their media lackeys tend to conveniently ignore, some of that “68 million acres” we keep hearing about are actually being worked by the oil companies. The term “production” applies to sites that are actually producing oil right now, irregardless of the fact that oil companies have invested millions there, and are working toward production. 8) The excessive profits and price gouging of oil companies is to blame for high oil prices. Well, oil trades at a world price, not one set by American oil companies. The fact is that U.S. oil has lost considerable influence to both OPEC and to foreign government oil, and has little influence over the market price of a barrel of oil. The largest American oil company – Exxon Mobil – is only the 14th largest in the world today. Therefore, much of the criticism of American oil is literally just another one symptom of the “blame America first, blame America for everything” ideology of liberals. Democrats also perform another bait and switch: when they talk about the “obscene profits,” they always talk about the gross profit in total dollars, and never about profit as a percentage of costs. But think about it: if you had a 10% profit with a commodity that sold for $100 a unit, and the cost per unit went up to $200, you’re profit in dollars would double – even though it remained the exact same percentage. Given that virtually every corporation focuses on profits as a percentage of its costs, the oil companies aren’t doing anything that other businesses don’t do and have been doing. Oil companies make billions of dollars in profit because they have hundreds and hundreds of billions of dollars in assets and costs. But their profits are actually well within the normative range of corporations in other industries. Oil companies have to continue to make reasonable profits, or else stockholders will withdraw their money and invest in other, more profitable, industries. A study reveals that just one corporation (Exxon Mobil) pays as much in taxes ($27 billion) annually as the entire bottom 50% of individual taxpayers (65,000,000 people!). Moreover, the tax rate for the bottom 50% of taxpayers is only 3% of adjusted gross income ($27.4 billion in income / $922 billion paid in taxes), and the tax rate for Exxon was 41% in 2006 ($67.4 billion in taxable income, $27.9 billion in taxes). 9) Speculators’ have been driving up the price of oil. The fact is that no one is able to prove that speculation is having ANY effect on oil at all. Maybe it is and maybe it isn’t, but it’s a purely theoretical argument. Most of the so-called “speculators” are companies with commercial fleets and airlines who need to buy oil at the best prices in order to keep their costs down. If they believe that oil is becoming more expensive, what do you think they will do? They will buy oil now to save money later. And that raises the price now. It’s a simple market phenomenon. I heard a pertinent illustration to the speculation issue: Imagine that the city of Chicago announced a moratorium on any new building. No new building permits. No new construction. What do you think would happen to the price of real estate in Chicago? It would skyrocket. Now, imagine what would happen if you announced a major new construction program in Chicago: do you think that would raise or lower the price of real estate? We saw something like this in the past two days: oil has dropped dramatically – $15 a barrel – in just two days. And what accompanies that decrease? President Bush lifted the executive ban on offshore drilling. The mere lifting of the ban encouraged the market that more supplies could be on the way, and therefore lowered the price of oil today. When more is coming, you don’t have a scarce – and therefore more valuable – resource. When less is coming, the price increases. Everyone understands this except Democrats. We have the Three Stooges of Nancy Pelosi, Harry Reid, and Barack Obama, who have announced that they are determined to pursue a policy that will keep the price of oil shockingly high and leave us vulnerable to foreign price manipulation. If I were from a country that is hostile to the United States, I would be watching this current version of the Three Stooges and laughing my head off over their ridiculous antics. But I love my country. And I can only mourn the fact that two stooges are in power, and a third may be on the way.